Stunning Waterfront property in Highly Sought after Private Los Lagos Gated Community. 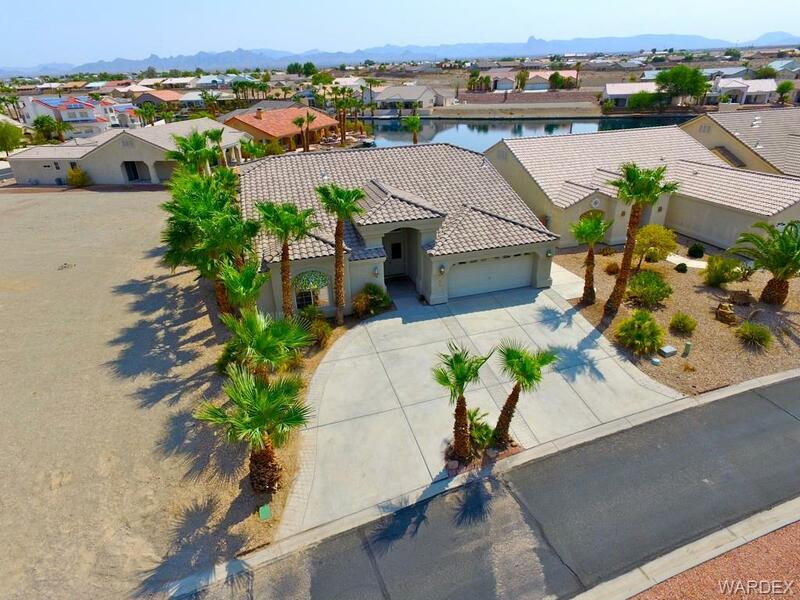 Boasting 3 Beautiful Lakes Surrounded by Mountain Views. This Meticulously Maintained 1 Owner Signature Showcase 3BR, 2 Full Baths. Home features Large Open Floor plan with SPECTACULAR Lake Views Floor to Ceiling from the Living, Dining and Master bedroom. Huge Kitchen, Large Pantry, Stainless Steel Appliances, Extra Long Island/Breakfast Bar. Cozy Fireplace, Master Suite offers French Door access to Serene Lake View Patio, Huge Walk-in Closet, Lovely 5 piece En-Suite Master Bath. Launch your boat from your Deck!! Community offers Golf Course, Clubhouse, Pool, Gym, Tennis & Pickle-ball courts.